Following last week's GRAMMY nominations where Sam Smith broke records after receiving 6 nominations including Record and Song of the year, as well as Best New Artist. Today Sam Smith reveals his stunning new video for current single Like I Can. Sam returned to the UK last weekend for the Capital FM Jingle Bell Ball, performing alongside the likes of Taylor Swift, Jessie J and Ed Sheeran, he also heading back in London on Sunday to perform as part of the X Factor Final. Sam's recently won Favourite Male Artist (Pop/Rock) at this year's American Music Awards, where he performed alongside hip hop heavyweight A$AP Rocky. Sam Smith's recent wins and nominations win coincide with the news of Sam's 2015 North American arena & theatre tour, where he will headline 16 venues including the iconic Madison Square Gardens. In a little over 6 months Sam's album In The Lonely Hour has sold over 3 million copies worldwide putting Sam on track to be the biggest selling new artist of the year. 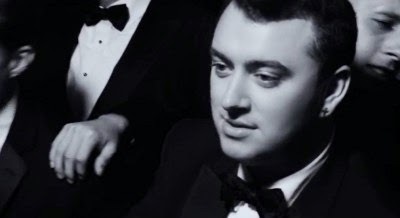 Check out the new video below and grab your copy of Sam’s amazing album In The Lonely Hour on iTunes now..!